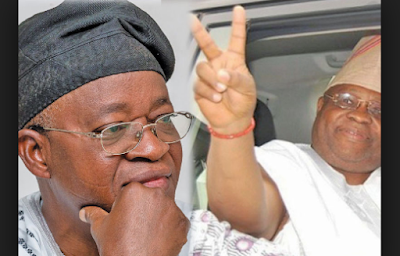 The ability to win election cases is what many politicians are looking for before hiring a lawyer this time and the lawyer who won Senator Ademola Adeleke's case at the Tribunal has joined the class. The governorship candidate of the Allied Peoples Movement in Ogun State, Adekunle Akinlade, and his party have secured the services of Dr Onyechi Ikpeazu, the lead counsel for PDP’s governorship candidate in Osun State, the Dancing Senator, to handle their election petition. 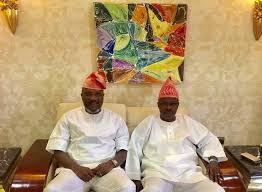 Akinlade was Governor Amosun’s preferred candidate for the governorship election held on March 9. Dr. Ikpeazu led Adeleke’s legal team at the Osun State Election Petition Tribunal which declared the PDP candidate winner of the state governorship election held in 2018. The lawyer, on behalf of the APM and its candidate, on Tuesday urged the governorship election petition tribunal in the state to give an order mandating the Independent National Electoral Commission to grant them access to the documents used for the conduct of the election. The petitioners said the inspection became imperative to enable them to file a petition before the tribunal. They said without the tribunal’s order, the respondent would not avail them the required documents for the purpose of filing their petition.